The popular brain cactus - Mammillaria elongata 'Cristata' is an extremely popular and easy to grow ornamental plant from the cactaceae family. Native to central Mexico, it is usually found growing in rocky outcrops with little protection from the sun. Of course there are many other cacti which have cristata forms. 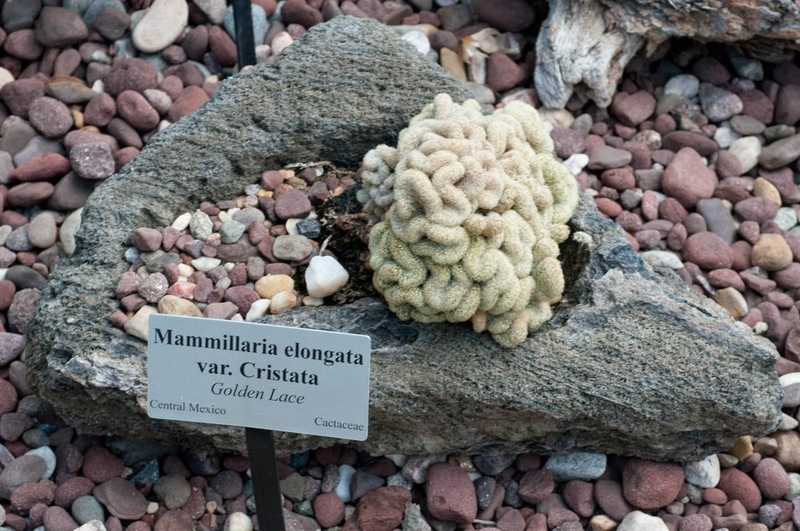 So when growing Mammillaria elongata 'Cristata' as a houseplant it is important to remember that its native habitat is particularly dry and free draining. When rain does occur, the water drains quickly away from the roots of the plant, never allowing the plant to become waterlogged. For this reason, it is essential in general cultivation to use a very porous soil which replicates the necessary fast drainage. With this in mind, do not use a general purpose compost when potting the brain cactus on, instead use a good quality specifically formulated cactus compost, but consider adding horticultural grit to improve drainage further. Water thoroughly only when soil is dry to the touch and discard any water that drains out the bottom of the pot. Even during the summer thus should be no more than once a week. Do not water on cloudy or humid days and over the winter you may not need to water any more than once every 4-6 weeks. Be aware that the folds of the brain cactus can trap water that can lead to rot, it is always preferable to water brain cacti from beneath. Feed once a month during the growing season with a water soluble cactus fertilizer, and position it in a warm bright position, but one which is out of direct sunlight to avoid scorching. If you wish to grow the brain cactus outside then it can do so as long as winter temperature do not drop much below 10 degrees Celsius otherwise it will need to be brought back in under protection. Brain cactus can be severely damaged in even the lightest frost! Again it will need to be planted in an extremely free draining soil and once hardened off can be positioned in full sun, but be aware that damage from scorching can occur after rainfall. 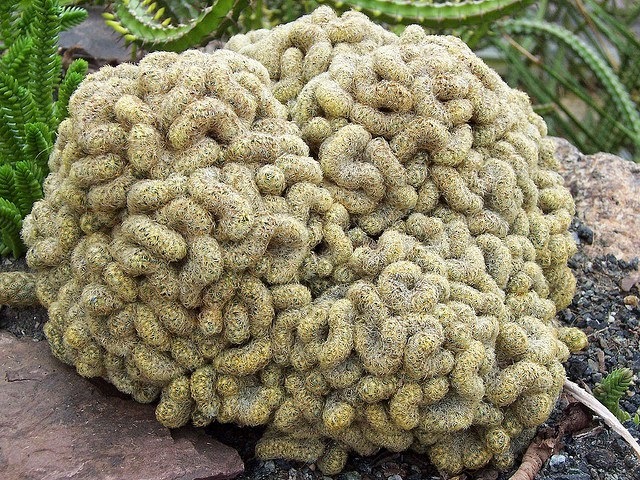 To avoid this plant your brain cactus in a site that is bright but protected from the sun during the early afternoon. WHAT HAS THE CHRISTMAS CACTUS GOT TO DO WITH CHRISTMAS?